Photo: Donnie McClurkin & Martha Munizzi – compliments of Perfecting Church. Martha Munizzi’s deepest desire is to, “transcend cultural, generational, and denominational boundaries, and bring all people together through worship.” Although based in Orlando, Fl, Detroiters were blessed by one of our nation’s most popular worship leaders during Perfecting Church’s Holy Convocation. 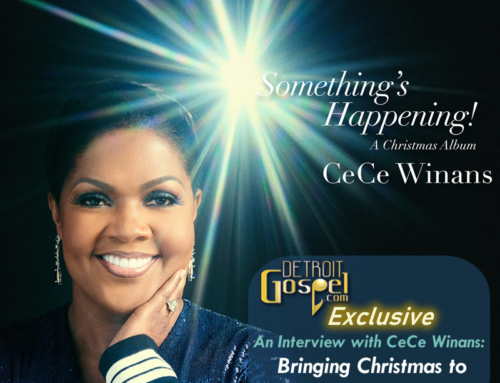 Detroit Gospel.com’s writer/producer, Reneé, took this opportunity to speak with Martha about her music ministry, influences, and most recent project, “The Best Is Yet To Come”. Interviewing Martha while she was here for Perfecting Church’s Holy Convocation at Calihan Hall was a wonderful experience. She has such a pleasant personality and a sweet spirit. Most of all we really connected because she is definitely a “soul sister” (smile). DG.com: How does it feel being in Detroit singing for Perfecting’s Convocation? Martha: It is such an honor to be here in Detroit. And it’s just awesome being a part of Perfecting’s Convocation. Martha went on to express that because of the love she has for Pastor Winans and his family, it was a thrill and an honor to be invited to sing. When asked about her music ministry, Martha had a lot to say. She shared how she traveled a lot with her family growing up. Her father was a pastor, singer and songwriter, and her mother was a musician and singer. Martha credits her mother as the person who actually taught her how to sing. When Martha was 16 she met Dan Munizzi, who would later become her husband and manager. Because they were both musicians and singers they married knowing their destinies were the same. Martha and her husband love giving their talents to the Lord. Being raised in the church, they seemed to always be involved in putting bands and singers together. “Every church we attended, somehow we were the [music] directors or the praise and worship leaders,” says Martha. Martha and Dan have been married for over 15 years and have been blessed with three wonderful children, Danielle, Nicole, and Nathan. DG.com: Who are your influences? Martha: There have been so many influences over the years. CLICK HERE to hear Martha Munizzi in her own words. Martha’s Detroit influences include the Pastor Marvin Winans and other members of the legendary Winans family, BeBe and CeCe Winans. She also tells how her husband encouraged her to listen to André Crouch when she was about 20 years old. At that time she had never heard of André, but after hearing his music she was moved from “a Southern Gospel experience to a Gospel experience.” She laughs as she acknowledges that even though she moved to Gospel, Southern Gospel has “Soul” too because it comes from the heart. But listening to Gospel music artist such and Yolanda Adams, Kirk Franklin, and Donnie McClurkin has changed her life completely. DG.com: What was the inspiration behind the title of your new CD “The Best Is Yet To Come”. Martha: When God transitioned us out of the church we loved, and [were] successful in, it was very difficult. Martha goes on to say that she and her husband thought at that time that maybe the devil was telling them to leave Faithworld Church because they felt this was the church they would be buried in. She said they ignored God’s calling for about six months. But soon after, they realized that they were just experiencing growing pains. The revelation simply came that they had grown out of that ministry. That’s when the idea came, “the best is yet to come.” So, when Martha heard Israel Houghton’s CD, “New Season” and particularly the tracks “Your Latter Will Be Greater,” and “New Season” she called Israel and expressed to him how she wanted to record these songs because they blessed her so. Israel agreed to produce Martha and along with her husband Dan as Executive Producer, they recorded “The Best Is Yet To Come”. “It is a prophetic statement for my life and the body of Christ,” says Martha. DG.com: How has debuting at Number 9 on the Billboard Gospel Chart and your Dove Awards nomination impacted your ministry? Martha: It has definitely impacted my ministry. So many people know who we are and [are] being blessed by the ministry. But Martha wants people to know that while accolades and awards are great, at the end of the day it’s really all about who God is, and is He still that to you. The attention is exciting for Martha because she recognizes that it’s God’s favor. However she is quick to say she has to lay all that aside because she knows it’s no one but God who opened the doors. She is just enjoying this season and gives God all the praise for it. 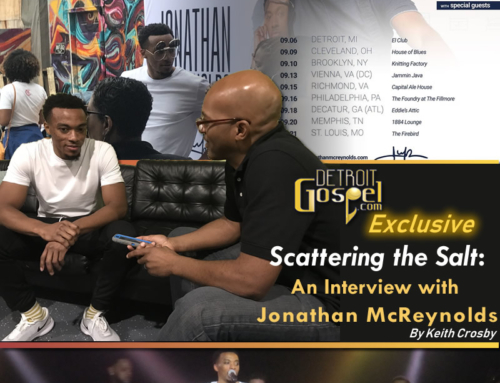 DG.com: How does it feel to be connected to Detroit’s own Karen Clark Sheard? Martha: [Karen]… is one of the top… female vocalists in America, so to have her actually record my songs is an honor…and a highlight. It’s a huge complement and validates my writings…It’s awesome. DG.com: Any advice for up-and-coming artists? Martha: Detroit is the greatest city in America. And Detroit Gospel.com is thrilled to have had the opportunity to spend some time with this gifted, talented, and most importantly, anointed woman of God. Thank you Martha for a wonderful interview. May god continue to bless you and your family. Editor’s note: I have to admit, the first time I heard “Because of Who You Are,” from Martha Munizzi’s “The Best Is Yet To Come” CD I thought it was CeCe Winans. Imagine my surprise when I saw this lovely blond woman singing her heart out to God in a style that has heretofore been labeled ‘Black Gospel’. As Martha so beautifully shows, gospel is Gospel and it transcends race. Detroit Gospel.com is also about transcending racial and geographic boundaries and is proud to share Martha’s music ministry with Detroiters and the world. For more information on Martha Munizzi check out her website at www.marthamunizzi.com. If you can’t experience Martha’s music ministry in person, you can still experience it on her CD, “The Best Is Yet to Come”>>Available at God’s World in Detroit, Target, Best Buy, K-Mart and other national retailers. You can also click on the album above to purchase online at Amazon.com.